There are presently about 184 Bangkok museums in the city and these can be grouped into Palace museums, special museums, Kings' museums and community museums. Start your tour of Bangkok museums with the National Museum Bangkok which traces the history of early Thai civilizations and the history of the various kingdoms. This will give the visitor an overview of the history of the kingdom. Next stop in our tour we visit the Palace Museums which were former royal residences carefully restored to depict the life of that era. Let's start with the Suan Pakkad Palace Museum the former royal residence of Prince Chumbhot and his wife Mom Rajawongse Pantip. Besides the family heirlooms, this museum displays the rare Ban Chiang Collection from a civilization that is more than 5,000 years old! Another Bangkok museum, a former palace with an interesting history, is the Varadis Palace the former residence of Prince Damrong who played a significant role in Thai history. Varadis Palace is now a museum and library dedicated to his memory. These Bangkok museums cover special aspects of the history and culture of Thailand. The Bank of Thailand Museum is one of those very special Bangkok museums. 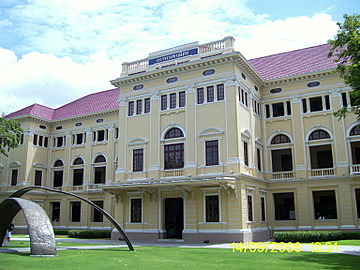 The museum is in the Bang Khun Prom Palace within the premises of the Central Bank of Thailand. The former residence of HRH Prince Paribatra Sukhumbhand, son of King Chulalongkorn, this museum depicts the history of Thai currency from the days of the ancient beads, seeds and bracelets till the present forms. 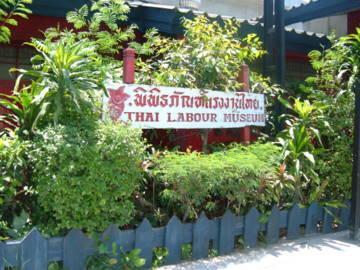 The history of the Thai labour movement from the days of slavery to the present is presented in the Thai Labour Museum. 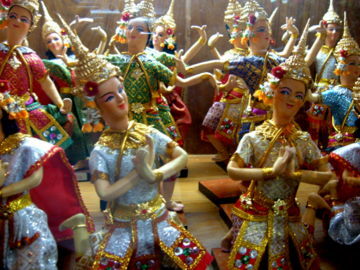 For a display of Thai traditions costumes and culture in miniature form, visit the Bangkok Dolls Museum. A very gruesome aspect of Thai prison history and prison life is recorded in the Bangkok Corrections Museum. Kamthieng House a traditional Lanna home in the grounds of the Siam Society in Soi Asoke, preserves the old Lanna architecture and culture from northern Thailand. For something that's really different and somewhat gruesome, see the Siriraj Medical Museums. The Museum of Buddhist Art is reputed to have the biggest collection of Buddha statues, sculptures and figurines based on Buddhist art from old kingdoms dating back to the 6th century AD. Traditional Thai art takes a unique twist in the Erawan Museum which displays old Buddha statues in a highly unusual structure with the gigantic three-headed Erawan on the dome. Some of these Buddha statues are as old as the ones in the Museum of Buddhist Art, though much lesser in number. To review the Thai postal and stamp history spanning over more than 120 years, please visit the Philatelic Museum. Related to stamps, please see this article Old Stamps on impressions from the 20th Asian International Stamp Exhibition in Bangkok in August 2007. For the latest Bangkok Museum that depicts 2,000 years of Thai history in an innovative style, visit the Museum Siam for a very different museum experience. 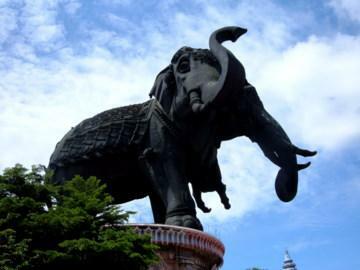 For an outdoor museum that is unrivalled anywhere else, visit Muang Boran or the Ancient City in Samut Prakan just outside Bangkok. The displays of scaled models or life sized replicas of ancient ruins, monuments, buildings which provide an excellent insight into the ethnic and cultural heritage of Thailand. 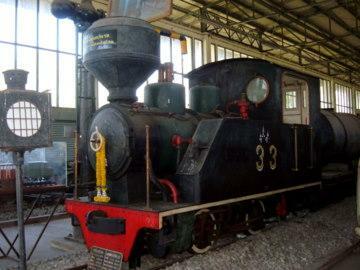 Another special museum is the Thailand Railway Hall of Fame which preserves the history of rail travel in Thailand since the late 1800s. 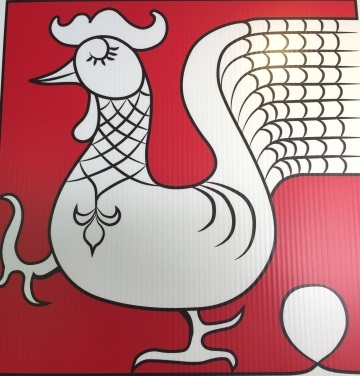 For a very interesting provincial museum preserving the history, culture, art and craft of its communities, visit the Museum of Nonthaburi which is in an old province just north of Bangkok. For the history of the Government Savings Bank of Thailand, please the Savings Bank Museum which has some nostalgic images of banking in the early days. Another special museum is the Museum of Floral Culture which displays exquisite Asian and Thai floral designs in an old colonial bungalow set in a lush tropical garden. 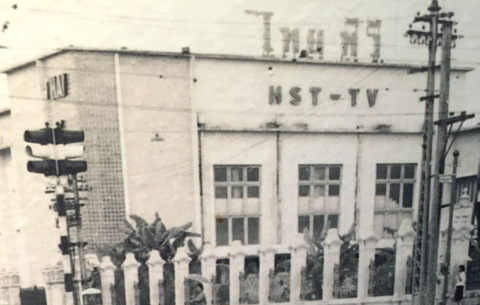 For the history of mass communications in Thailand since the inception of radio and television broadcasting and public relations, please see the Broadcasting Museum, Bangkok. 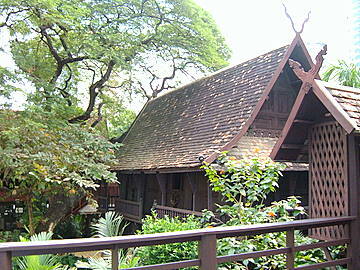 Baan Bang Khen is really special, it’s not just a museum, it’s a cluster of museums. It consists of a number of museums in specially constructed old houses with each house exhibiting displays that preserve an aspect of everyday life more than half a century ago. 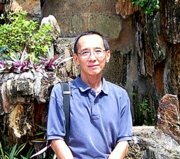 The House of Museums a quaint museum located in Thawi Watthana district on the outskirts of Bangkok is the brainchild of Anake Nawigamune. 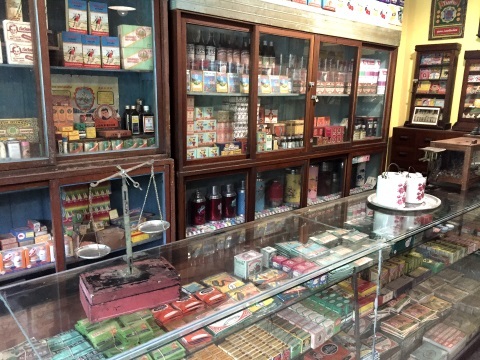 The exhibits preserves the livelihoods of the small traders and shopkeepers and replicas of their old shops in neighbourhood markets from the earlier half of the 20th C onwards. Suksasom Museum is an extraordinary collector's museum with more than 300,000 items on display accumulated over 30 years, it's the fulfilment of one man's dream to leave a legacy for posterity. 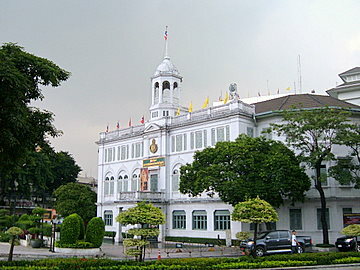 The Kings' Museums make up another group of Bangkok museums. These museums were not royal palaces before but now house museums dedicated to former Chakri Kings. 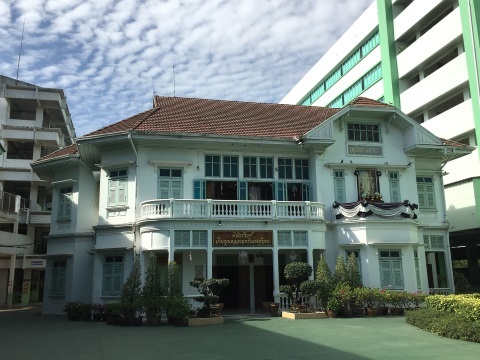 The King Rama VI Museum within the Territorial Defence Department is a military museum dedicated to King Vajiravudh, a Sandhurst graduate, who had a keen interest in the military. 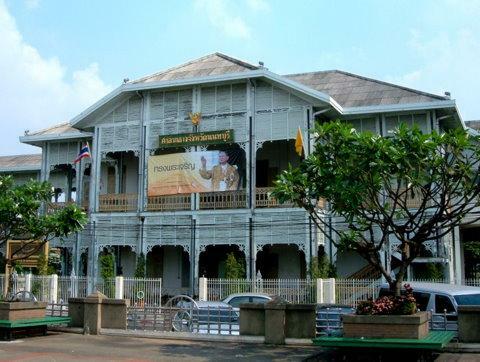 The King Rama VII Museum preserves the personal history and life of King Prajadhipok, the last absolute monarch whose reign saw the watershed in Thai political history. 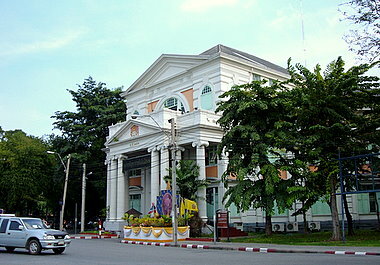 The next category of Bangkok museums consists of the community museums. 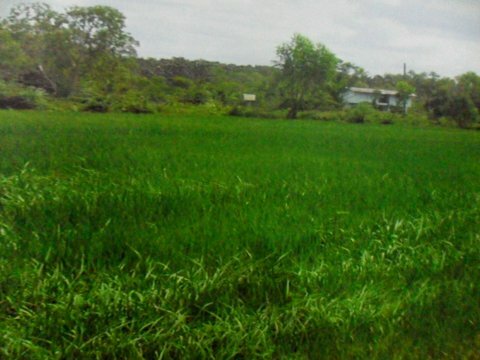 These are museums recording the history and life style of the local communities in the area. 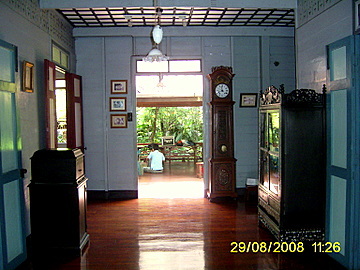 The Bangkok Folk Museum in Bangrak was previously a family home carefully preserved to reflect the lifestyle in Bangkok in the early 20th century. 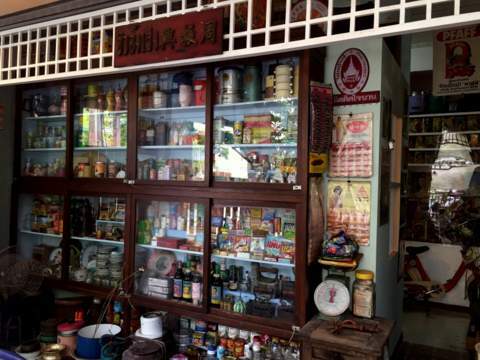 Co-located with the Folk Museum is the Bangrak Museum a community museum which preserves the history and quaint memories of old Bangrak district in the 1800s - early 1900s. The Samphanthawong Museum in Yaowarat Chinatown Bangkok is a pictorial history of the early Chinese immigrants, their lives and contributions. In July 2005, the Bangkok Metropolitan Authority announced plans to establish 23 more community museums. Each of these Bangkok museums will preserve the history, culture and life-styles of the communities in the various Bangkok districts. The Bangkok Noi Museum a community museum on the Thonburi bank,traces the history of the old Bangkok community in the pre-Rattanakosin era, before Bangkok became the capital. The Bang Khun Thien Museum another community museum on the Thonburi bank, traces the history of Bangkok's coastal community near the only seafront in Bangkok. 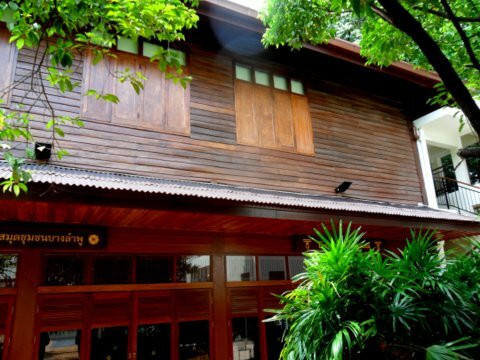 Klong San Museum is one of the 23 community museums established in the second phase. This museum covers another old community on the west bank of the Chao Phraya just after you have crossed the Taksin Bridge. Phra Khanong Museum is a Bangkok museum that preserves the history of Phra Khanong district which was very different in the past. 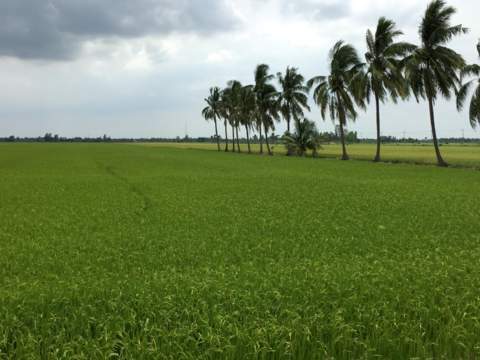 It was an agricultural area with rice fields and orchards. 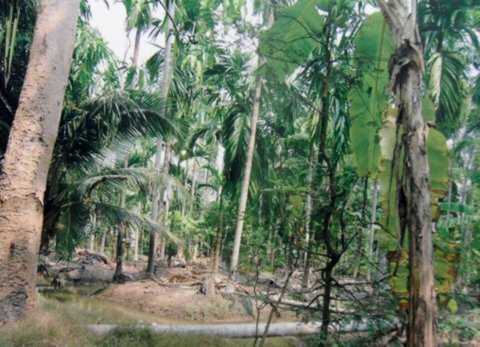 However one legacy has lingered on which is the legend of the famous female ghost Mae Nak Phra Khanong. Lat Krabang Museum features the culture, festivals and way of life of the Mon people, a very old community, who live in Lat Krabang district in eastern Bangkok where old traditions are still practiced. 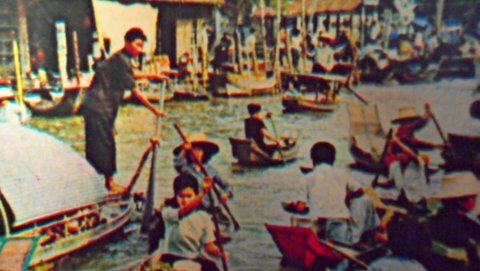 Chom Thong Museum is a Bangkok Community Museum preserving the memories of the way of life in Chom Thong, an old district on the west bank of the Chao Phraya River since the Ayutthaya period. 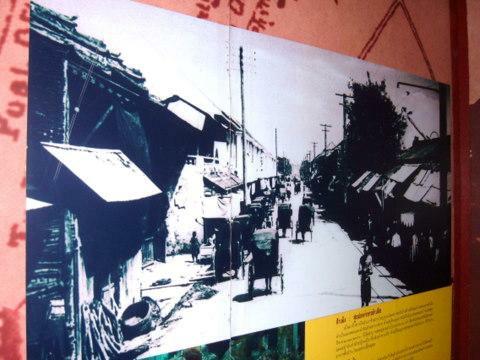 Yannawa Museum covers the history of Yannawa district in Bangkok that used to have fruit orchards, vegetable gardens and fishermen. 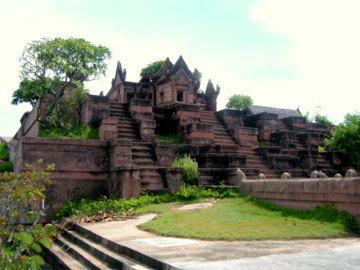 The district got its name from Wat Yannawa, the boat temple. 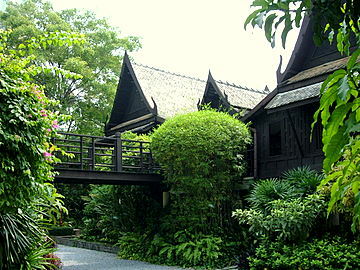 The Thawi Watthana Museum preserves the history and way of life of one of the few agricultural districts in Bangkok. The situation today is very different as the country atmosphere gives way to that of a residential suburb. 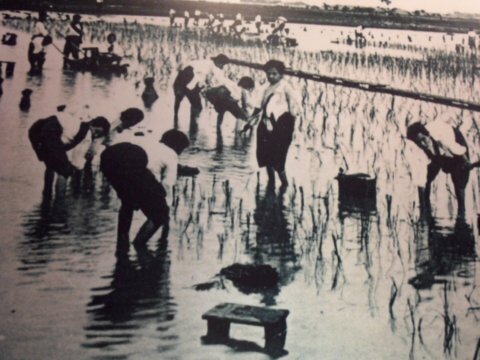 The Rat Burana Museum a community museum preserves the history of another former agricultural district in Bangkok on the Chao Phraya that used to be areca plantations, fruit orchards and rice mills. 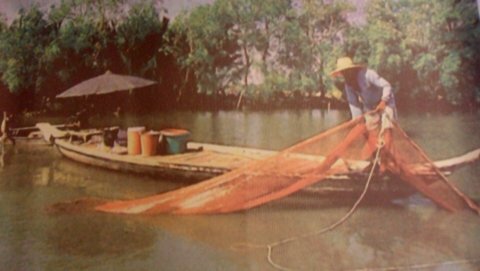 ﻿The Nong Chok Museum﻿ is a community museum that preserves the history of another agricultural district on the outskirts of Bangkok where the way of life still has that pleasant rural atmosphere. 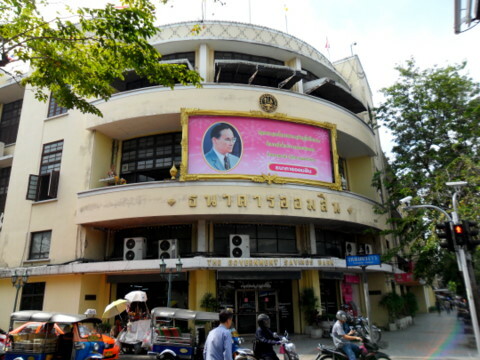 Though it’s a community museum, the Pipit Banglamphu Museum isn’t under the administration of the Bangkok Metropolitan Authority. 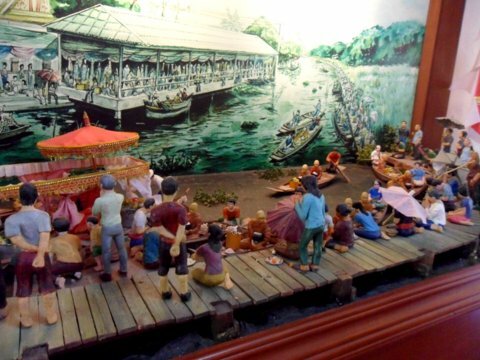 The museum preserves the history of the communities in Banglamphu, their handicraft and way of life with very innovative displays and exhibits. 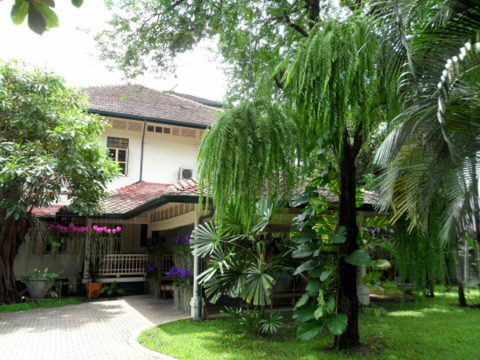 Another category of Bangkok museums are house museums, former homes that have been turned into museums to preserve a special aspect of life in the past. Luang Ritthinarongron House Museum was the former home of a Thai nobleman in the 19th C which preserves the lifestyle in old Bangkok Yai on the west bank of the Chao Phraya. 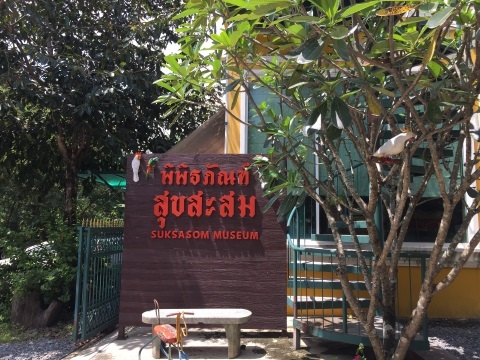 The Baan Kudichin Museum is a privately-owned community museum run by a family who is part of the Kudichin Community. 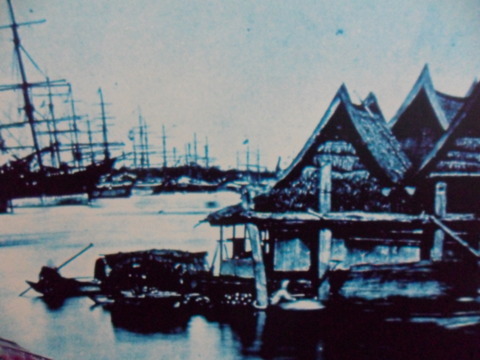 It traces the history of the Portuguese in Siam and the origins of this old Portuguese-Thai community in Thonburi that dates back 250 years to the days of old Siam. The number of Bangkok museums gives an idea of the richness and diversity of the Thai history and culture and the impact of these influences on Thai society.